iPhone is a multimedia enabled smartphone, which is designed and developed by Apple Inc. Nowadays, the iPhone is famous all over the world. Apple iphone introduced, new schemes of monthly installment and cash back schemes in india. Which makes wonder in India. The monthly sale of iphone have raised 300% to 400% in india over the last two or three months. They push up its sales by finding out the trends of consumer demand in the market. When comparing the sales of iphone to other smartphones, it was very less in india, before this EMI schemes. After introducing this EMI and cash back schemes, the sales have been rised to 4,00,000 units per month. The sale of iphone in india was 70,000 to 80,000 before introducing this scheme, said Sunil Tirumalai, Research Analyst. He also said that, Apple doesn’t figure out particular market in India. This EMI scheme was begun four months ago in India. The installment period is 6 to 12 months without paying any interest. “The 4-9% implicit discount coupled with the option of EMI and it became popular,” Tirumalai added. The swiss brokerage firm and research agency said that, this statistics were based on checks with mobile store retailers and distributors all over the country. The retail strategy was changed from last year of September and brought on board Redignton and Ingram micro as official distributors of its iphone handsets. IDC’s Asia-Pacific Mobile Phone Tracker states that, Apple increased its value share to 15.6% from 3.9% in previous quarter and its shipment rose to 4.7% from 1.3%. 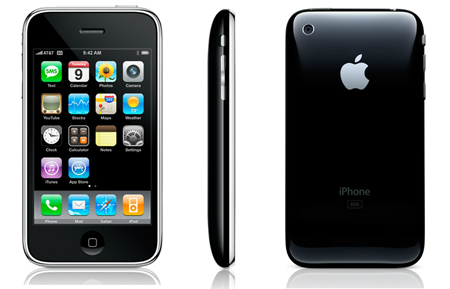 One good news for iphone lovers, by April, Apple offering an 18% cash discount on top of the earlier iphone 4 offer. Other rivals like Nokia, Samsung and Blackberry are also joined the race. In this smartphone price wars, telecom operators like Airtel, Aircel will get more benefits by higher data usage of smartphone users. The number of data subscribers for Bharti rose to 43.4 million. The number of 3G plan subscribers from Bharti Airtel has risen by 23%. Though iPhone is having tough competition from Sasung then also it has raised its selling by 400% Superb. Yes, Siddharth. Apple iphones are unbeatable. Yes our india is progressing.